With 32 years in public service, including 22 years as a Progressive Conservative MPP for the riding of Kitchener-Waterloo, Elizabeth Witmer brings significant experience to the WSIB. 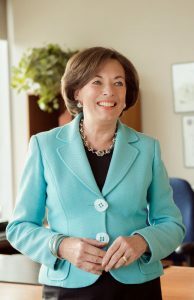 She was instrumental in revamping the worker’s health and safety and compensation system (including a name change from the Workers’ Compensation Board to the WSIB), serving as Ontario’s Minister of Labour from 1995 to 1997. A long-time resident of Waterloo, Witmer used to meet annually with the Waterloo Region Home Builders’ Association (WRHBA) — in her words, “an organization with a great reputation for excellence.” She employed WRHBA member contractors to renovate her home (with outstanding service and quality work, she adds) and many of her friends and family work in the residential construction industry. As current chair of the WSIB, Witmer insists that the system, while not always perfect, has improved in many ways over the past few years. 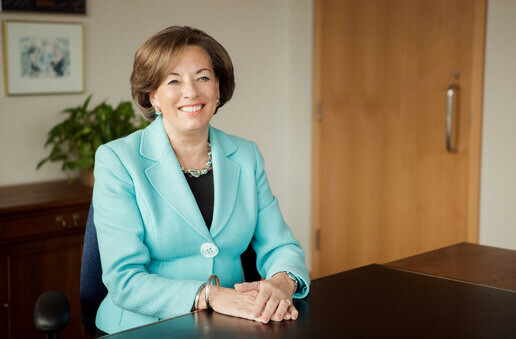 She cites a list of WSIB facts and statistics to back up this assertion: time spent administering claims has dropped significantly; 91 percent of injured workers are back to work within 12 months of an accident; decision-making is faster — 93 percent within two weeks; e-services now allow employers to register online; specialty clinics staffed by WSIB-employed specialists are providing timely treatment, with approximately 4,000 fewer workers experiencing permanent impairment; for the first time in 10 years, the WSIB has an operating surplus; claim costs in Ontario are among the lowest in Canada. The other part of the deficit solution will come about through sweeping operational and policy changes (some of which have already been implemented), as well as revisions to the WSIB’s investment portfolio to increase its profitability. Witmer joins the WSIB just as Bill 119 becomes law, requiring mandatory WSIB coverage in the construction sector. Beginning January 1, 2013, independent operators, partners, sole proprietors and some executive officers and directors (previously exempt from mandatory coverage) will have to pay WSIB premiums. Builders, developers, renovators, trade contractors and installers will need to examine how the new law will affect their businesses and determine how they will afford to pay the new WSIB premiums. When asked about the impact of the mandatory coverage legislation on previously exempt personnel in the construction industry, Witmer pointed out the advantages of paying WSIB premiums, such as retirement income benefits, health cost compensation, work-reintegration, severe impairment allowances, survivor benefits and others. Benefits aside, Bruce Bolduc, head of the OHBA Health and Safety Committee, questions the effectiveness of mandatory coverage legislation. “The idea that making people pay WSIB premiums will make them work safer is a simplistic solution that isn’t going to deliver safer workplaces. We see it as a cash grab,” he says. It is estimated mandatory coverage will generate $72 million in revenue for the WSIB. The good news about the new legislation, says Bolduc, is that the underground economy involving some Ontario contractors is now “on the radar.” The downside, he says, is that Bill 119 may motivate others to work “cash only” in order to avoid paying premiums. Exemptions are not automatic. To receive the exemption, the partner or executive officer will have to complete a WSIB request form. Independent operators and sole proprietors (with workers) do not qualify for this exemption. Other executive officers who are “not on the tools” in the same firm and do not receive the exemption are classified under a lower rate group (755), which is substantially lower compared to construction workers. Home renovators who work exclusively in home renovation and work directly for the homeowner, meaning occupant or a member of their family, and are paid directly by the homeowner, meaning occupant or a member of their family, are not required to have coverage for themselves. You still must have WSIB coverage for your workers, but as an owner, you are not required to have coverage for yourself. You can apply for optional insurance coverage with WSIB. An independent operator is someone who does not employ any workers, reports as self-employed to Canada Revenue Agency and is retained as a contractor by more than one person during an 18-month period. You will need to be registered starting January 1, 2013. 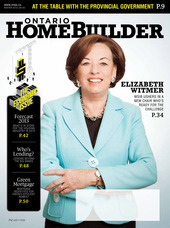 To purchase a copy of Ontario Home Builder – Winter 2013, click here. To view the full digital version, click here.